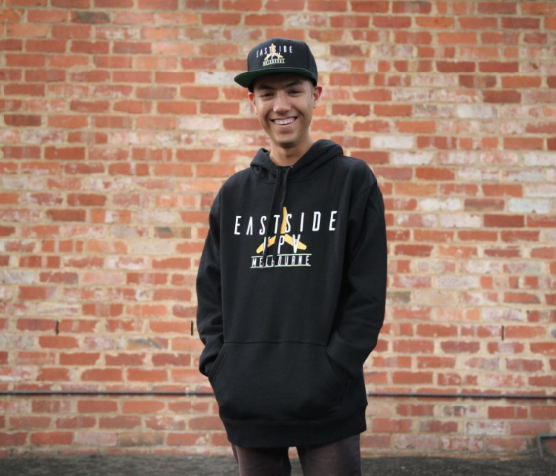 Eastside hoodie in black with classic logo. These are the latest iteration with premium artwork and material. Eastside FPV GOLD Members: use coupon code “gold” at checkout for 15% off! I’m a simple man. I see Thomas wearing a thing. I buy the thing. The best hoodie in The WORLD. When I wore the hoodie I instantly improved my FPV skill by 137% I also looked like a baddass so there’s that. 137% would buy again.